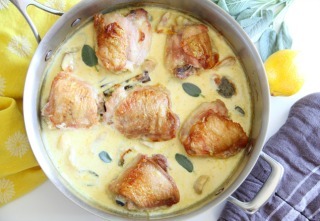 Primal lemon and sage chicken in cream is a riff on Jamie Oliver’s recipe for chicken in milk, an unusual recipe with a fervent following. In Oliver’s recipe, a whole chicken is roasted with an odd combination of ingredients: milk, cinnamon, garlic, sage and lemon. That odd combination turns into a roasted bird swimming in an amazing sauce scented with lemon and sage. You really have to try it to believe how good it is. But consider trying this version first, which is richer, creamier and even more succulent. 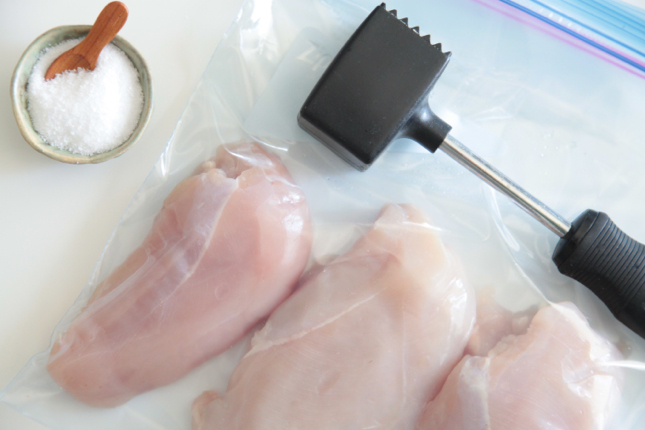 Using bone-in chicken thighs instead of a whole chicken cuts down on the cooking time and guarantees juicy, succulent meat. 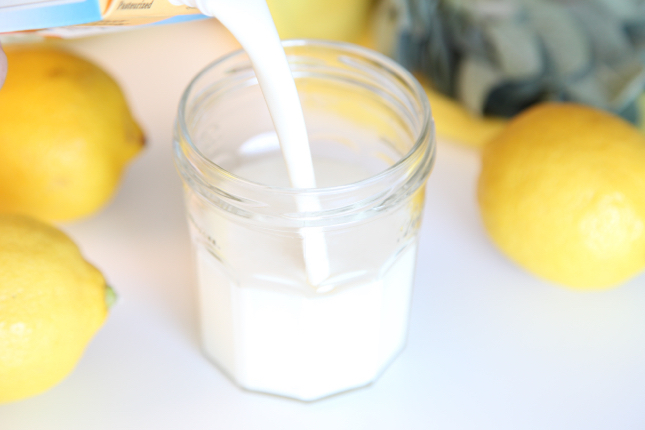 Using whole cream instead of milk results in a sauce that is rich and smooth instead of curdled. 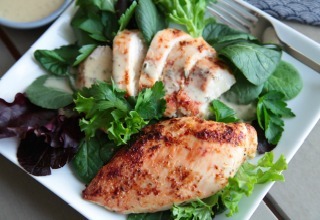 The combination of whole cream, chicken drippings and butter sends the fat content of this dish soaring, which is a good thing if adding healthy fat to your diet is a priority. 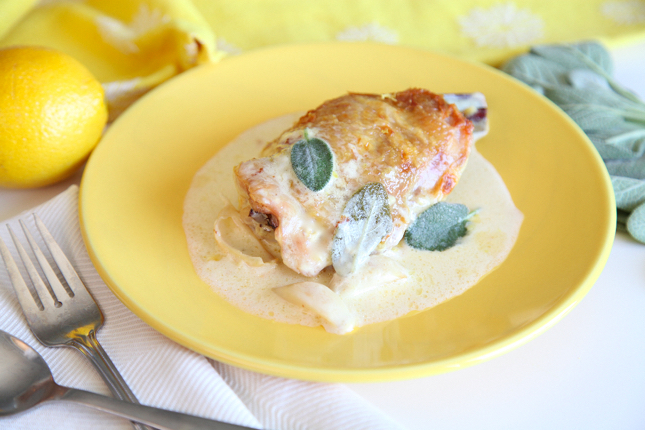 This lemon and sage chicken is so good and so easy to make that it’s sure to become a favorite. 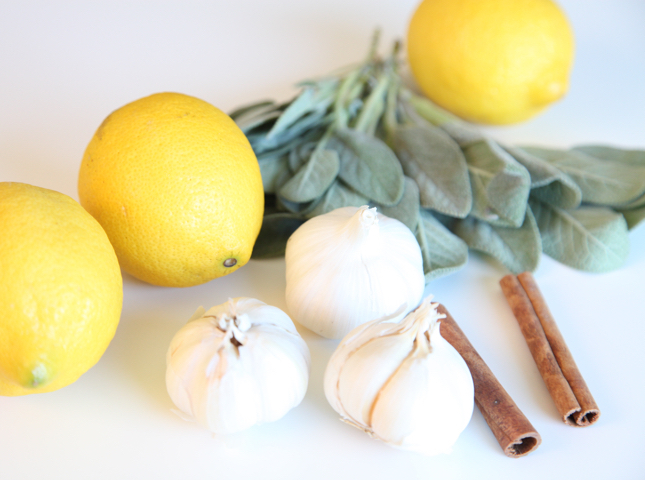 Recipe Note: For this recipe, strips of lemon zest are better than grated zest. Using a vegetable peeler or paring knife, remove the yellow peel from most of the lemon, being careful to leave the white pith behind. Use a knife to cut the pieces of peel into thin strips. 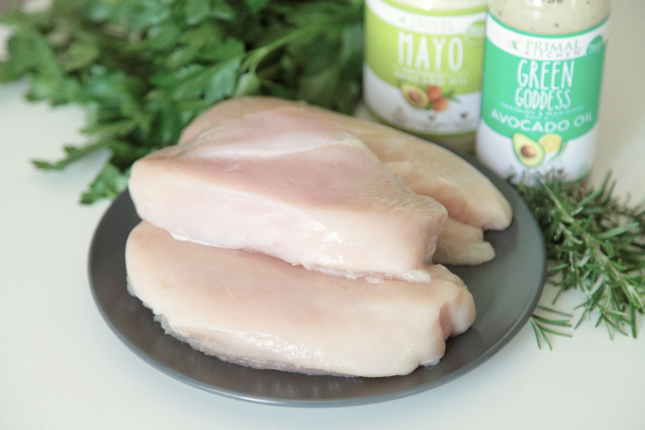 In an ovenproof skillet that will fit all the chicken, heat the avocado oil/red palm oil over medium-high heat. When the oil is hot, add the chicken, skin side down. 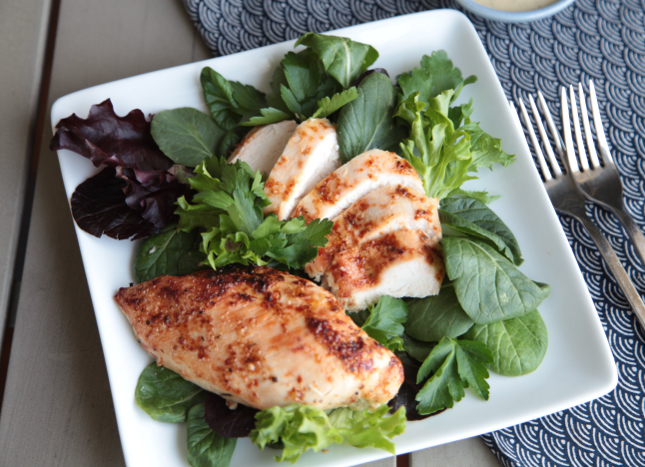 When the chicken is nicely browned, flip it over. Carefully tilt the skillet and pour some of the oil out, leaving only a thin layer. Add the butter, garlic, cinnamon stick, sage leaves and lemon zest. Right when the butter just begins to turn brown, pour in the cream. Bring the cream to a gentle boil and then put the skillet in the oven. Cook, uncovered, for 45 minutes, until the chicken is done and the sauce is bubbly and thickened. 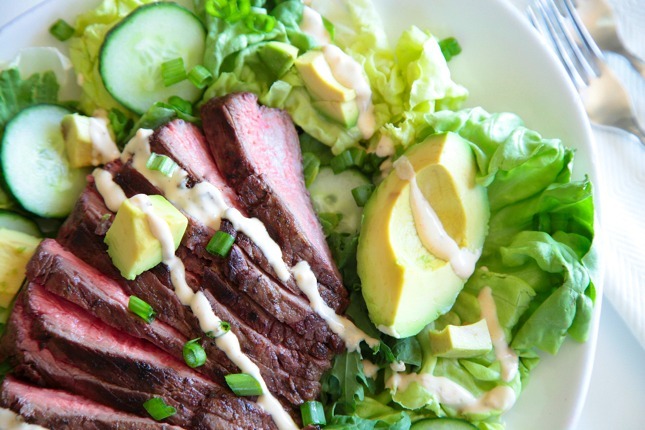 Boneless short ribs aren’t just for slow winter braises. Briefly thrown on the grill, boneless short ribs are also a delicious alternative to steak. The fatty marbling throughout keeps the ribs tender and flavorful. 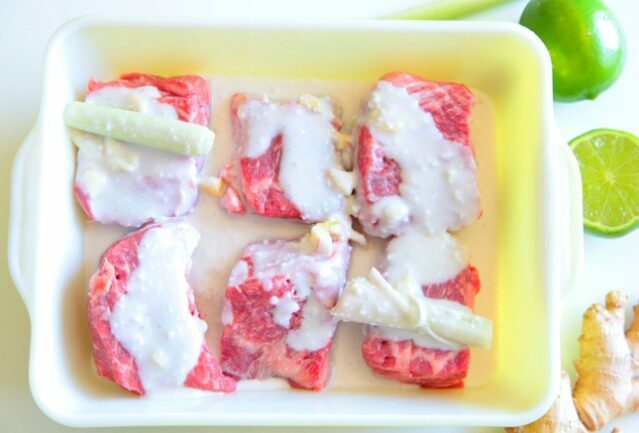 Grilled short ribs don’t necessarily need a marinade, but this one, made from coconut milk, lemongrass, ginger, garlic, fish sauce, and lime is a great one to try. 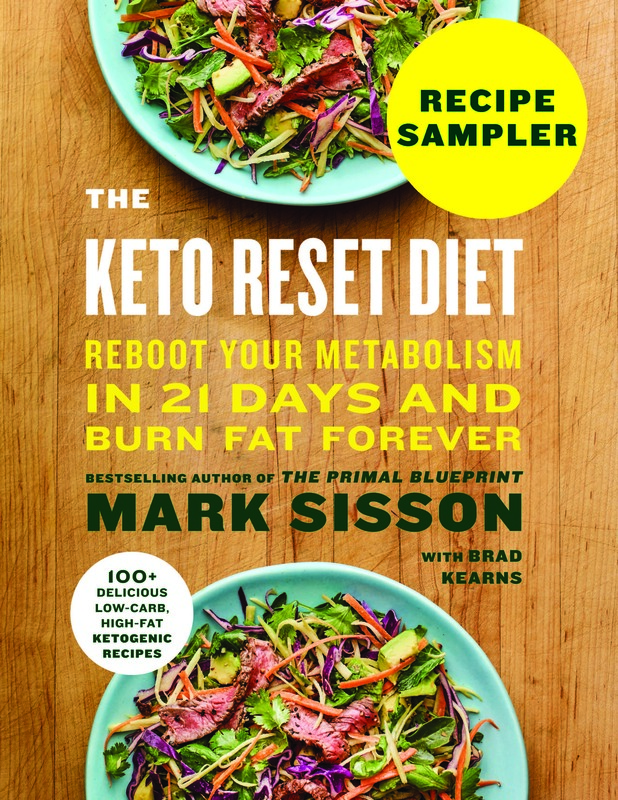 It’s no secret around here that coconut milk is a much loved, keto supportive healthy fat. 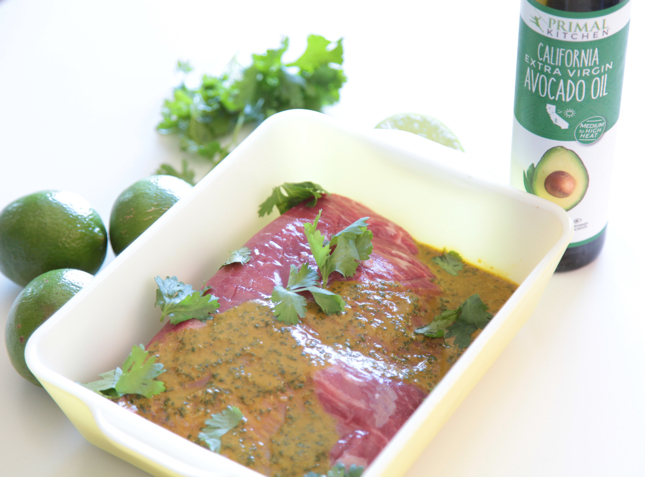 Used as the base for a marinade, coconut milk gives meat an extra boost of fat and also adds flavor. It does the same for kale, adding richness and slight sweetness that tones down kale’s natural bitterness. 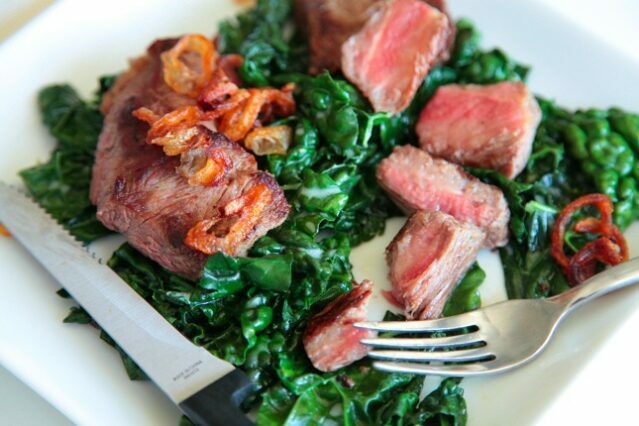 Coconut marinated short ribs and sautéed kale are best eaten hot, but both the leftover meat and kale will also satisfy as a cold lunch the next day. 2 pounds (907 G) boneless beef short ribs, cut into 8 to 10 pieces. If the pieces are more than 2-inches/50 mm thick, cut them horizontally into 1-inch/25 mm thick pieces. Remove tough outer layer of lemongrass. Bruise and flatten the stalk by crushing it with the flat side of knife. Cut the stalk into 3 or 4 pieces. Combine lemongrass with garlic, ginger, 1 cup (240 ml) coconut milk, fish sauce and lime juice. Pour the marinade over the short ribs. Chill and marinate at least 1 hour and up to 12 hours. While the ribs are marinating, fry the shallots for a garnish. In a small pot or saucepan, combine the sunflower oil, tallow or lard (or a combination of two) with the sliced shallots. Turn the heat up to medium. Cook until shallots are deeply browned (not burnt! ), about 15 minutes. Stir occasionally, and turn the temperature up or down as needed as the shallots cook. Strain the oil from the crispy shallots. Set the shallots on a paper towel and set aside. 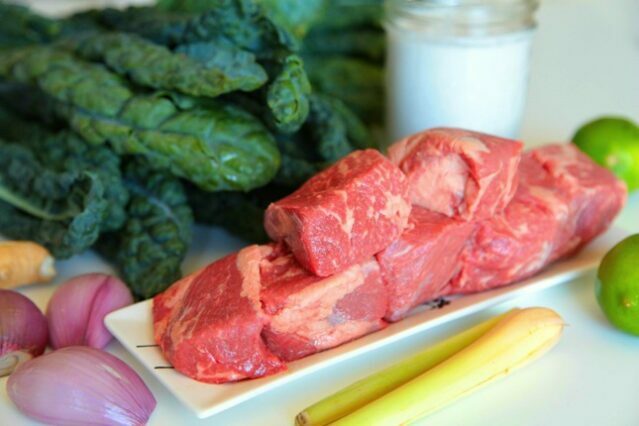 Pull short ribs out of the marinade and wipe off excess coconut milk. Heat a clean and well-oiled grill to medium heat. Place short ribs on the grill. Don’t move for at least 4 minutes, and flip only when lightly charred. Once the short ribs are flipped, cook 8 to 10 minutes more, or until the internal temperature reaches 135º F (medium rare). Take the short ribs off the grill and let sit for 10 minutes before slicing. While the ribs are resting, sauté the kale. Heat coconut oil over medium heat in a wide skillet. Add garlic and hot pepper. Cook 1 minute, then add kale in handfuls, stirring and letting each handful wilt slightly before adding more. When all the kale is in the skillet, add the remaining coconut milk from the can. Cook a few minutes more until most of the coconut milk is absorbed. Add salt to taste. 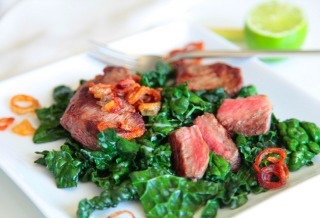 Served sliced short ribs over kale. Garnish with fried shallots. 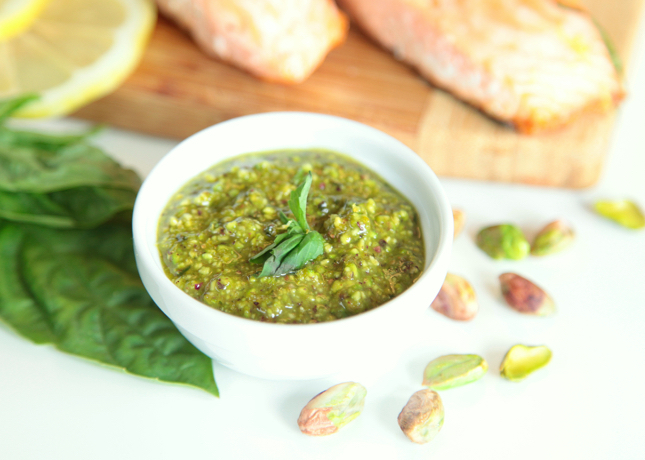 With a few variations, this pistachio pesto can lead you to other amazing meals, too. Add a dash of red pepper flakes, and serve a spicy version of the pesto with roasted pork. Use parsley, instead of basil, for a new flavor. Or, thin the pesto out with full-fat Greek yogurt, and drizzle it over roasted vegetables. Like any nut, pistachios are best enjoyed with a little self-control. Don’t worry, this pesto is so rich you aren’t likely to overindulge in one sitting. That said, pistachios aren’t really a nut to fret over, unless you have an allergy. 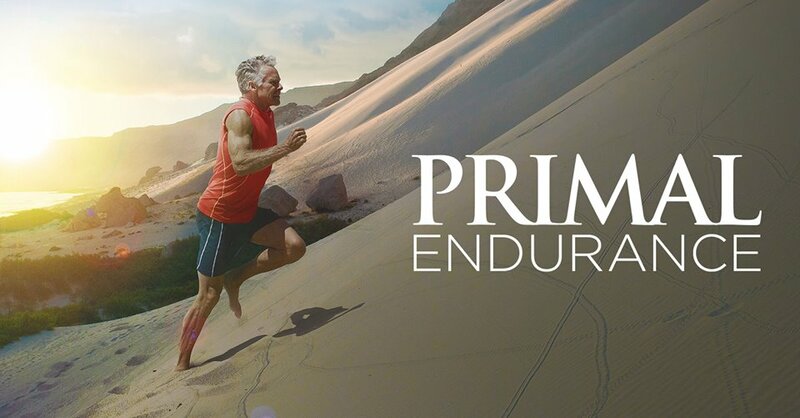 They’re pretty low in phytic acid, a potent source of prebiotic fiber, and can reduce the glucose response to carb-rich meals. 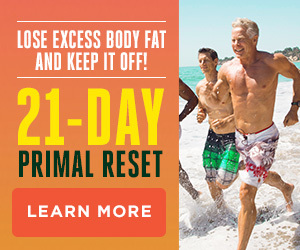 Not that this is a carb-rich meal. Quite the opposite, actually. 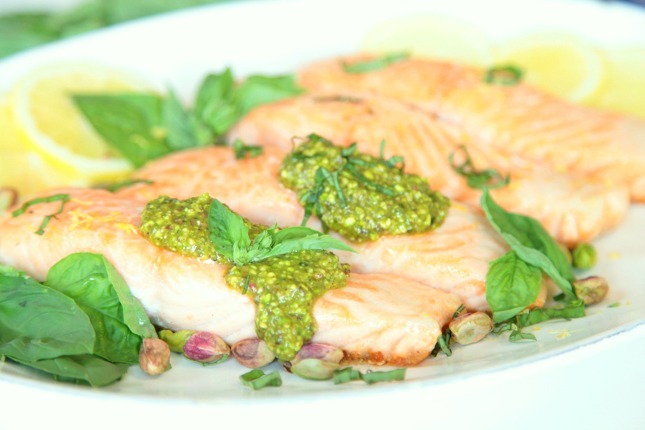 Skin-on salmon + pistachio pesto can be a go-to recipe when you want a high-protein, high-fat meal that’s also high in flavor. 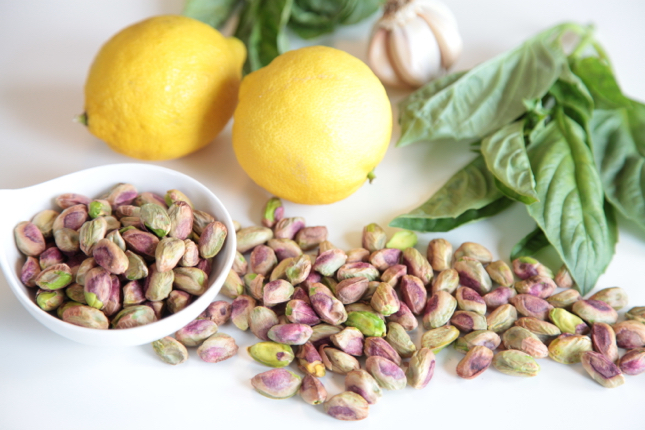 Blend the pistachios, garlic and lemon zest in a food processor until very finely ground. With the blade still going, slowly pour the olive oil into the food processor and blend just until combined. Add salt to taste. Set aside. 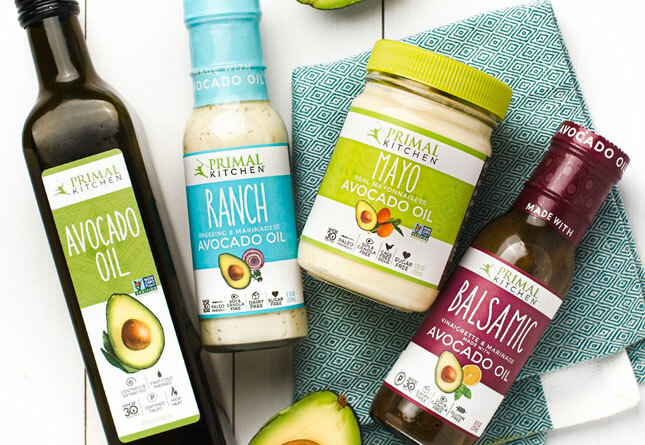 Heat avocado oil in an ovenproof skillet over medium-high heat. Place the salmon in the hot skillet, skin side down. Once the fillets are in the pan, do not move the salmon. Cook about 5 minutes, pressing down on the salmon once or twice with a spatula to press the skin against the hot pan. Put the skillet into the oven. Cook 4 to 6 minutes more, depending on the thickness of the fish. Serve the salmon warm or at room temperature, with pistachio pesto dolloped on top. 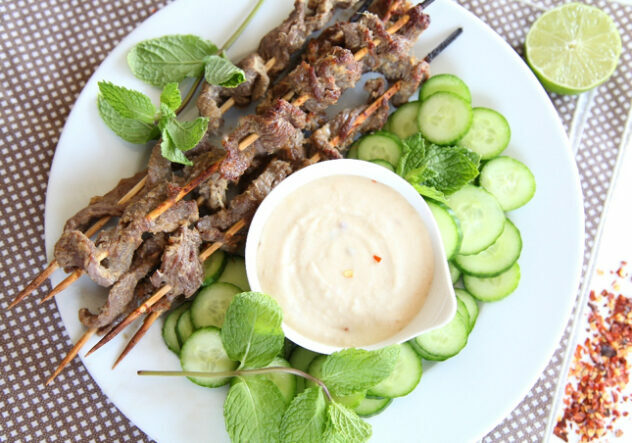 Satay is often served as an appetizer, but it makes a fantastic main course when served with a rich, creamy satay sauce and crisp raw veggies on the side. 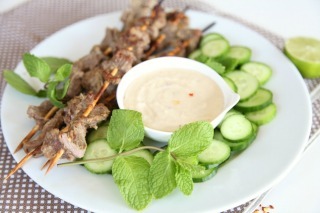 In this Primal version of beef satay, sugar is skipped entirely in both the marinade and the satay sauce. 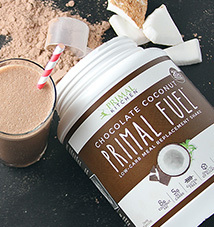 It isn’t missed, with coconut milk and macadamia nuts adding plenty of natural sweetness. 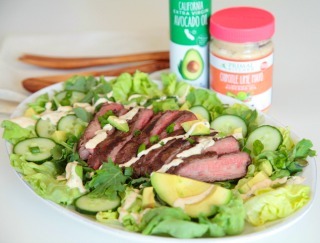 The meat gets its intense flavor from soaking just 1 hour in a richly seasoned marinade that is sweet, salty and deliciously pungent. The mellow macadamia satay sauce served on the side balances the bold flavors of the meat, although giving the sauce a good, spicy kick is essential—without it, the sauce isn’t nearly as good. Macadamia satay sauce is amazing with any type of grilled meat and should not be overlooked as a dip for cold, chopped veggies. Plan to serve sliced cucumber, carrots and/or red bell peppers with Primal beef satay for a colorful, flavorful main course or appetizer. *Meat is easier to slice thinly if it’s really cold. Put the beef in the freezer for 30 to 45 minutes before slicing it. In a high-powered blender, combine the lemongrass, shallot, garlic, ginger, fish sauce, soy sauce/tamari, coconut milk, cumin, and coriander. Combine the beef strips and marinade so the meat is completely coated. Refrigerate and marinate 1 hour. Don’t marinate too much longer than this, or the meat can get mushy. 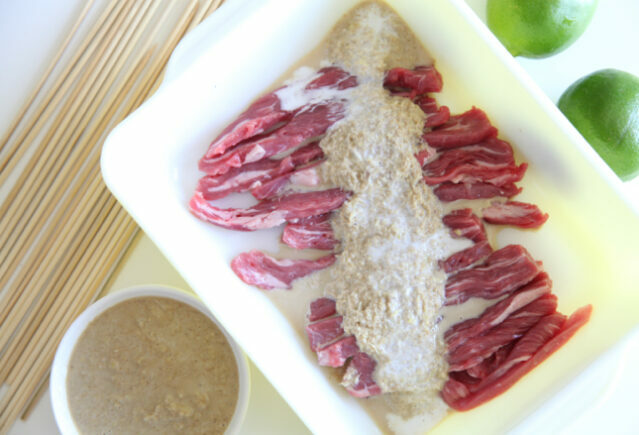 Remove beef from the marinade and shake off excess marinade. Thread 2 to 3 pieces of meat onto each skewer, spacing the meat out on the skewer. If the skewer is too crowded, the edges of the meat won’t get crispy and charred. On a heated grill over high heat, grill the skewers 3 minutes per side, or until slightly charred on the outside and barely pink in the middle. 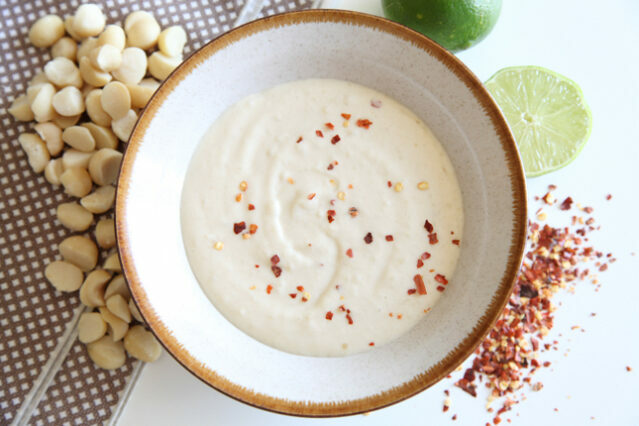 In a food processor or blender, blend the macadamia nuts until very smooth. In a small bowl, whisk together the remaining ingredients: garlic, tamari, sesame oil, fish sauce, lime juice cayenne, coconut milk and water. 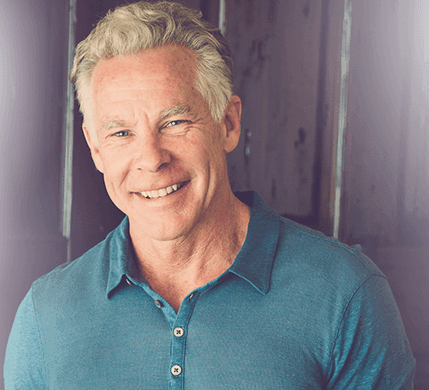 Pour into the blender with the macadamia nuts. Blend just until combined. Serve the beef satay skewers with the macadamia sauce and crisp, raw vegetables like cucumbers, carrots and red bell peppers.